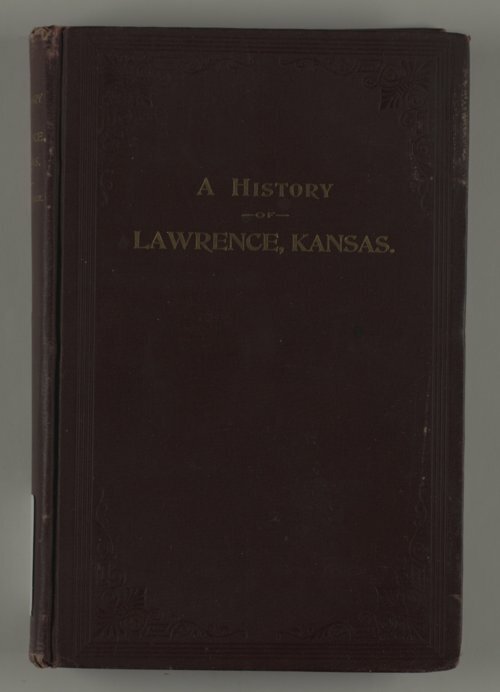 Sara Tappan Doolittle (Lawrence) Robinson, author of "Kansas: Its Interior and Exterior Life" and wife of Governor Charles Robinson, owned this copy of Richard Cordley's "A History of Lawrence Kansas." She heavily annotated the book in pencil, as did George Washington Brown (in ink). Brown was another prominent supporter of the Free State cause and an associate of the Robinsons. On page 269 Brown recommends that the author revise the earliest history, prior to Cordley's arrival in Lawrence, for accuracy. The book includes several maps and photographs, including a portrait of Sara Robinson between pages 168 and 169.